NY Indie Rockers Here's To You Drop Dynamic New Single "Burning Alive"
New York indie rockers Here’s To You will be celebrating their 10th anniversary this year. First forming in 2009, the quartet has since self-released their debut album, played hundreds of shows across the eastern seaboard, and have played major music festivals like Bamboozle and SXSW. 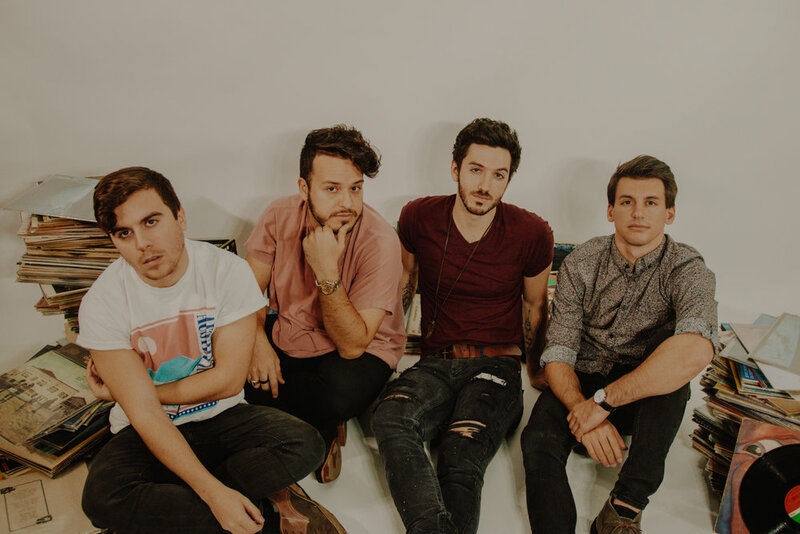 Over the past three years, however, Here’s To You has been cultivating a new sound and are now getting ready to return to the scene with the release of their sophomore album Wonder/Wander, which will be released in three EP-length segments. The first, Phase I, is set to drop on February 15, and the band just shared the EP’s lead single “Burning Alive.” Dynamic and high energy, the track is an electrifying feel-good banger and ode to the glory of youth. It so perfectly conveys the exhilaration and mystery that the nighttime has to offer, as well as the thrilling, all-consuming romance that so unpredictably can come along with it. Watch the official music video for “Burning Alive” below.